Lewin S, Glenton C, Munthe-Kaas H, Carlsen B, Colvin CJ, et al. 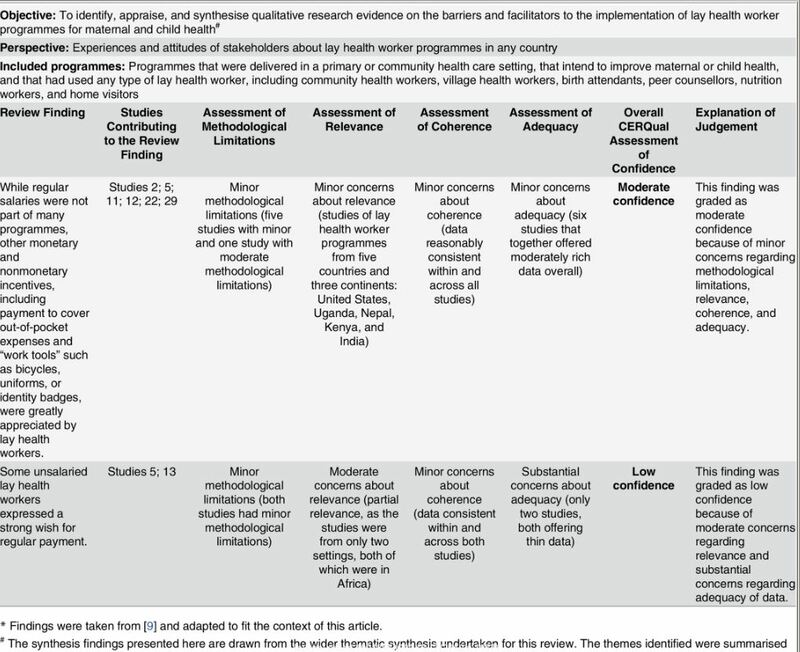 (2015) Using Qualitative Evidence in Decision Making for Health and Social Interventions: An Approach to Assess Confidence in Findings from Qualitative Evidence Syntheses (GRADE-CERQual). The CERQual (Confidence in the Evidence from Reviews of Qualitative research) tool provides a transparent method for assessing the confidence of evidence from reviews of qualitative research, and indicating this confidence to end users, such as guideline panels or decision makers. 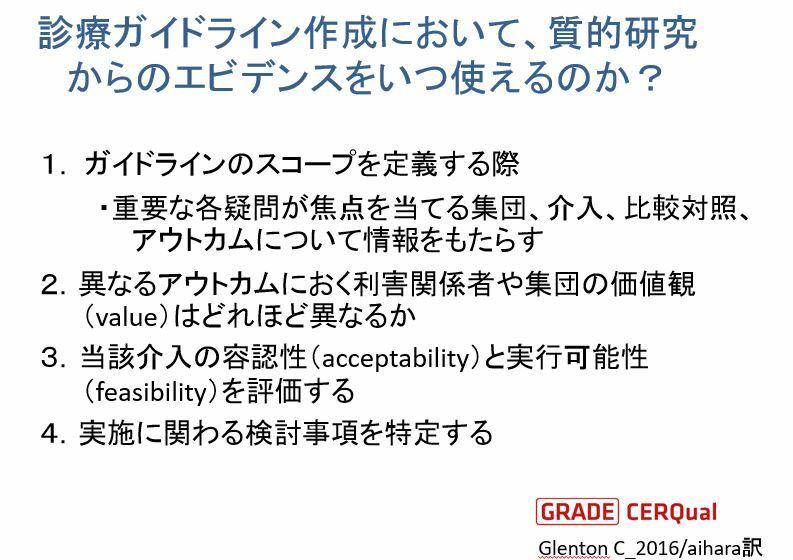 CERQual uses a similar approach conceptually to other GRADE tools, but is intended for findings from systematic reviews of qualitative evidence.